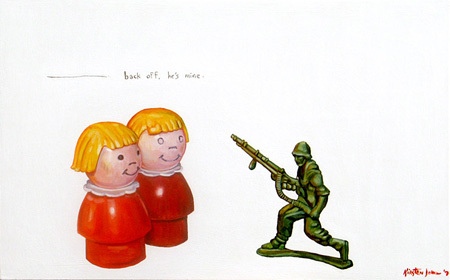 As much as I love great paintings, I love great drawings, and Alison Kendall’s work is a bit of both. Very beautiful. 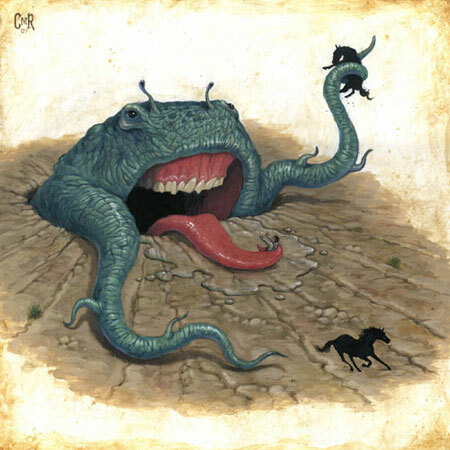 I’ve always enjoyed a good creature painting, and Chris Ryniak has several. Joe Sorren paints flesh very well. That might help explain why the figures in his paintings have so much of it. Especially in the head region. I’m not complaining mind you, the works are incredible! 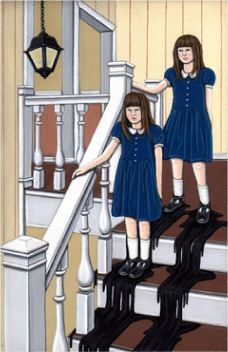 Kiersten Essenpreis’s paintings are dark in all the right ways. Enjoy. 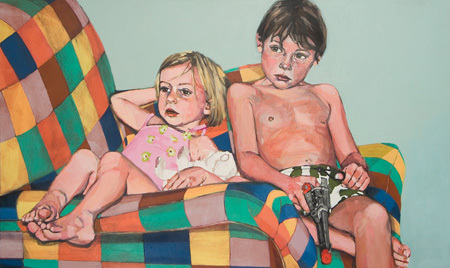 Aside from admiring the quality of Kirsten Johnson’s paintings, I don’t think I’ve ever had more fun looking at a body of work than I have had looking through her site. Great stuff. 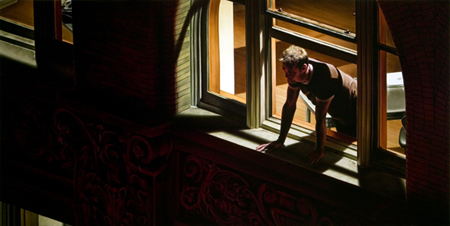 It is incredibly rare to find an artist who can manipulate light and composition as effectively as Damian Loeb. The end result? Amazingly beautiful paintings. Great colours, great compositions, great subject matter. 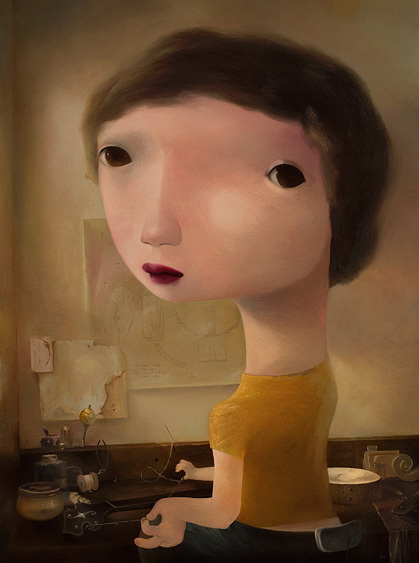 Sharon Shapiro’s paintings are great. The unfortunate reality is that most artists these days can’t make a living on art making alone. The upside to this is that the jobs artists take to help pay the bills can sometimes provide inspiration for the art. Take Mike Egan for instance. He works in a funeral home. 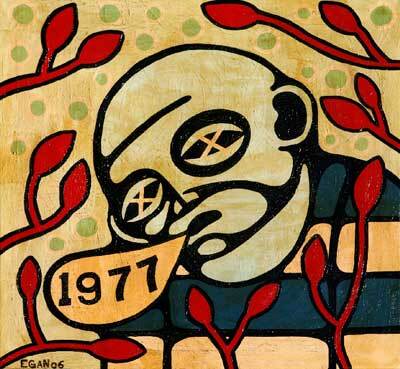 By his own admission, his work experience is a strong influence over his painted subject matter. I’m recommending that he not quit his day job, but in a good way. If you’ve recently suffered a traumatic rodent infestation you might want to avoid Adam Stennett’s site. 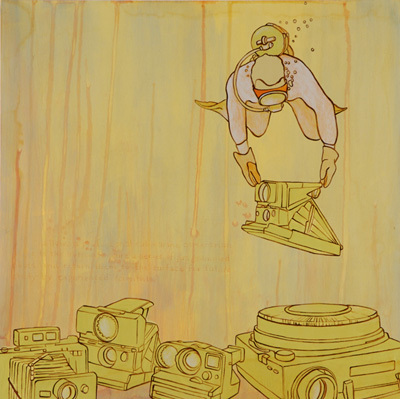 On the other hand, if you enjoy great paintings that may or may not depict mice in residential settings, I highly recommend viewing Adam’s portfolio. 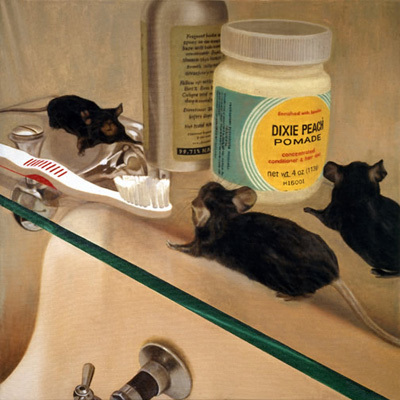 By the way, the painting above is titled “My Girlfriend’s Toothbrush”. And now I like it even more. 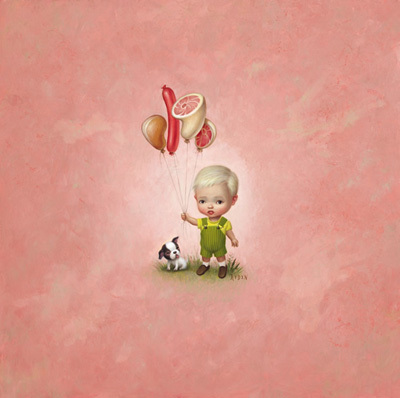 Mark Ryden will give you all this and more in spectacular fashion. Don’t believe me? Check it out for yourself.